Eastern Shore Vacation Rentals specializes in marketing and managing short-term vacation rentals for properties located along the Chesapeake Bay—it's all we do! We currently offer property management services in Easton, St. Michaels, Oxford, Tilghman Island, Cambridge and Dorchester County, Queen Anne's County, Chestertown and Kent County, Maryland. Why Professional Vacation Rental Management? We get it! Your property, whether a second home, primary residence for sale or investment property, is a large asset in your overall portfolio. Just as you would consider hiring a professional to manage your stocks or other investments, hiring a professional to manage your vacation rental income is an important decision. There are many reasons to consider turning to short-term vacation rentals—to broaden market appeal for a home on the market for sale, to offset maintenance and other costs of a second home, or to simply enjoy generating income when your schedule does not allow you to be at your vacation home. You may have already decided that short-term vacation rentals are a solution you want to pursue or are still considering what options are best for you. 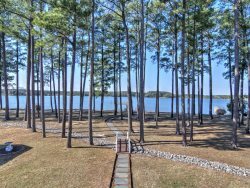 Why Eastern Shore Vacation Rentals? With over a decade of experience in an ever-changing industry, Eastern Shore Vacation Rentals has demonstrated proven results. Our combination of unparalleled marketing expertise, superior guest services, and proactive property care ensure that we deliver the best possible return on investment for our homeowners. And when vacationers are looking to experience the Chesapeake Bay, they know they can rely on ESVR to deliver! Large client base to market to repeat guests. Over 40% of our reservations are from repeat, satisfied guests, and less than 10% of our reservations come from Third Party sites, such as VRBO, HomeAway, and Airbnb. We have a loyal following of customers who go directly to the ESVR site first when planning their Eastern Shore vacation. Easy to use website with cutting-edge professional photography, floor plans, and staging to show your home in the best possible light. We have also begun to implement drone photography on select properties - click here to see an example. How do our customers find us? ESVR heavily invests in search engine optimization, Adwords, remarketing and is consistently analyzing the trends. Our organic search results also rank high because of our time in business and attention to content on our website. Direct Mail Campaigns--we pay close attention to details and send meaningful, targeted e-mails to our guests so they are engaged with our message. Our open, click and conversion rates are ahead of the industry average. Social Media Campaigns--We invest in content and consistency in our social media programs to capture new guests and keep repeat guests interested in the area. Our Facebook page alone has over 12,000 followers! Our full-time reservationists are available to respond to inquiries, answer questions and assist with booking both online and by telephone. Our personal attention keeps guests coming back year after year! Quality Assurance Inspections--All ESVR properties undergo a comprehensive pre-season inspection to address any maintenance concerns or failing equipment prior to the season. This protects your income for those hard-earned reservations and avoids having to discount or lose repeat guests. Post Season Inspections--We want you to return to your home and enjoy it once the booking season is over. Our postseason inspections are designed to bring anything to your attention and handle it so you don't have to. Accidental Damage Protection--We offer with each reservation an "accidental damage" policy. This encourages guests to report otherwise unnoticed items so that we can address and remedy for you. Pre-Arrival Inspections--We inspect the property to be sure it is rental ready prior to all guest arrivals. We thoroughly check all systems, operations, wifi, light bulbs and remotes so we have confidence our guests will arrive at a vacation-ready home. Emergency Response--Even the most well-maintained home has unexpected failures or problems. We have the staff to respond to these issues immediately so we can keep your guest's vacation on track. Vendor Partnership--We have carefully cultivated a reliable, professional network of vendors so we are able to dispatch a provider to respond quickly--be it an HVAC failure, swimming pool problem or appliance in need of repair. Timing matters when there is a guest in property! All Inclusive Pricing - Our software is sophisticated enough to bundle our pricing, so the guest sees one fee for their whole stay--inclusive of bed and bath linens, pet fees and all other occupancy fees and charges. No surprises or extra costs (tax is collected separately). Direct Check In and Check Out - ESVR homes are outfitted with the PointCentral System so that once approved, a guest simply has a keycode to use that is activated when the property is ready and to use during their stay. No more keys floating around or lockouts! The system also lets us know that your guest is in property and when they have checked out. Custom Guest Guides for each property are sent in advance to each guest so that they can plan their vacation. Our guest services team also stands ready to help answer questions about local amenities and events. We live in this community and are proud to share our experiences! Free Starter Amenities--We want our guests to relax while vacationing! And that starts with the first moments they enter your home. ESVR provides a starter pack of household items (toilet paper, soap, paper towels, and other products) so guests can unwind a bit before rushing out to the store. Guest Portal - ESVR guests can manage their reservations from one secure portal--pay their balances, sign the rental agreement and add-on services all in one place! For more information or to speak to someone about your Maryland property management service needs please contact our office today. We can't wait to meet you and see if Eastern Shore Vacation Rentals is the right fit.